Epilepsy is a chronic, neurological condition characterized by recurrent seizures. A seizure happens when abnormal electrical activity in the brain causes an involuntary change in the person’s awareness or behavior. Epilepsy is diagnosed when a person has had two or more seizures that cannot be attributed to some other condition. Epilepsy is a physical condition, not a mental illness. Epilepsy most often starts in childhood or in seniors, but anyone can develop epilepsy at any time. Epilepsy affects people of all ages, all nations and all races. One in every 100 Canadians has epilepsy. In 70% of the cases, the cause of the epilepsy is unknown. What is known to cause epilepsy includes brain tumors, serious head injuries and brain infections. In most cases epilepsy is not inherited, although people with a close family member with epilepsy are at a slightly greater risk. Epilepsy is not contagious. The goal of all epilepsy treatment is to stop the seizures with as few side effects as possible. The most common treatment is anti-seizure medication. If medication does not work, other options available include brain surgery (in specific cases), an implanted medical device designed to reduce or stop seizures, or a highly specialized diet (recommended more for children than adults).
. There are many types of seizures, but they are generally classified into two main categories based on which part of the brain is involved. 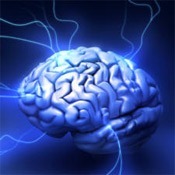 Generalized seizures affect the whole brain. Partial seizures only affect part of the brain. Tonic Clonic seizures are characterized by a fall and rigidity. It is followed by shallow breathing or temporarily suspended breathing, bluish skin and possible loss of bladder or bowel control. The seizure generally lasts a couple of minutes. There may be some confusion and/or fatigue, followed by a return to full consciousness. 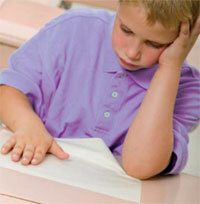 Absence seizures are most common in children. It begins with a blank stare, only lasting a few seconds. The absence seizure may also be accompanied by rapid blinking or chewing movements of the mouth. The child or adult may not be aware of what’s going on during the seizure, but quickly returns to full awareness once it has stopped. This type of seizure should not be mistaken for daydreaming or a lack of attention. partial seizures begin with movement in one area of the body – such as the arm, leg, or face. It cannot be stopped, but the patient stays awake and is aware of what is happening. Spasms may proceed from one area of the body to another, and sometimes spread to become a convulsive seizure. Complex partial seizures usually start with a blank stare, followed by repetitive physical activity. The person appears dazed and may make sounds like muffled speech. While the complex partial seizure usually lasts only a few minutes, post-seizure confusion can last substantially longer. This condition should not be mistaken as intoxication. If you have had a seizure, ALWAYS consult a doctor, preferably a neurologist. Develop a comprehensive care plan with your doctor. Ask Epilepsy Toronto for a free Seizure Journal, where you can record your seizures and medications for each consultation. e sure the pharmacist has not substituted a generic). Take your medication exactly as the doctor instructed. Never skip a dosage of your anti-seizure medication without your doctor’s consent. Use your Seizure Journal to record any side effects and/or changes you see, especially any triggers you notice that cause you to have a seizure. 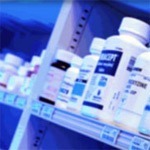 Learn More About Medications. The more you know about your condition, the less daunting your treatment becomes. Learn about the causes, treatments, tests, and impacts of epilepsy so you can make the most informed choices for your life. When you visit your doctor, ask for information on your medication’s known side effects, your specific seizure type, and self-management techniques the doctor can suggest. Epilepsy Toronto has a rich resource library, an on-line epilepsy course and a full range of epilepsy Fact Sheets where you can find out more about all aspects of this condition. Our counsellors are available for one-on-one consultations if you need specific information and support. Contact Epilepsy Toronto for e-bulletins and updates from our counsellors so you are sure to receive up-to-date information on a routine basis. Visit our library and borrow a book that could change your life. Join our Annual Conference in the spring when we bring people with epilepsy together with the best neurologists, epileptologists and epilepsy experts for an informative day of exchange and learning. Get involved in Purple Day, the annual day of epilepsy awareness held every March 26th and let your neighbours, your co-workers, your students, your teachers, your parents, your friends and your community know what it really means to live with epilepsy. We have Ambassador Kits to get you on the way towards educating the public about this often misunderstood condition. Our website also includes a variety of videos about epilepsy and first hand stories from others who have seizures. How do I cope with epilepsy? port groups for young mothers, partners of people with epilepsy, and professionals with eplepsy. Come and find someone who knows exactly what you are going through. You are all welcome and there are no fees involved.